"What is Cali Water? It's actually cactus water or a 'plant based water powered by the Prickly Pear Cactus super fruit.' Amazon graciously recommended this drink to me and when I saw that it had Prickly Pear fruit in it, I was immediately hooked. The prickly pear fruit has a very distinct maroon/pink color [see below]. While it's prickly on the outside it has a soft edible fruit on the inside. My desert friends and I have mainly used the fruit to enhance our pool side margaritas. The inside of the fruit looks and feels almost like a pomegranate. It also tastes like a pomegranate and raspberries were mixed together (aka killer margaritas and water). I've never been a big fan of coconut water (unless it's straight out of a coconut) or aloe water (chunky texture? bleh) but I'm 100% hooked on Cali Water. The drink also has fewer calories and sugar than your average Coconut and Aloe waters. The ingredients are 100% natural (which I love), Vegan, and simple. Just water and pureed prickly pear fruit (not from concentrate)." So there you have it; Caliwater Cactus Water is this trendsetter's plant-based beverage of choice. 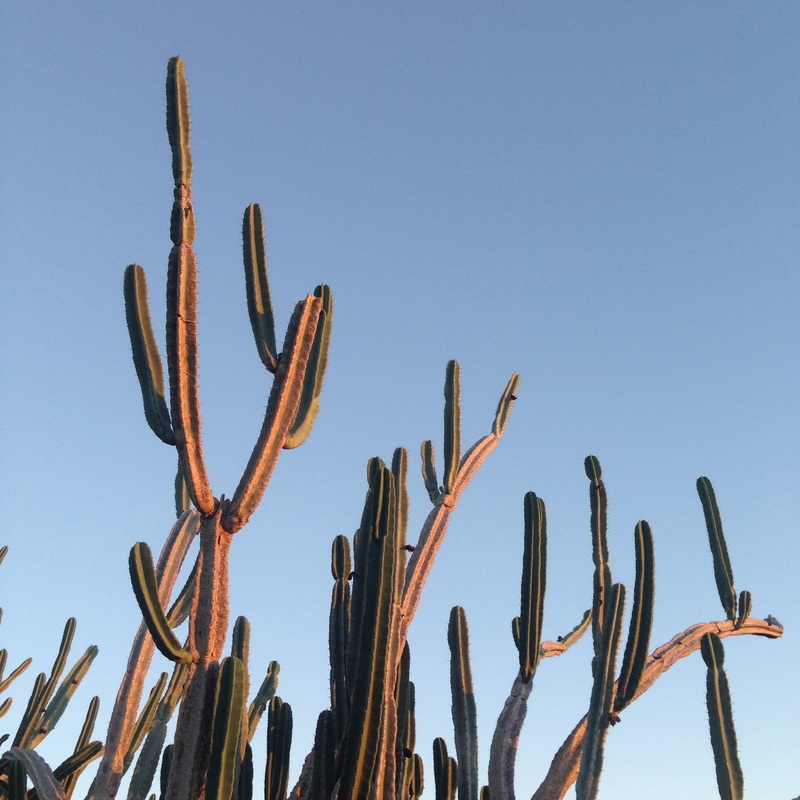 Have you been flirting with the idea of trying Cactus Water?